The Landeswehr tried to organize a coup already in the February 1919, but Latvian police found out about it: they managed to get their hands on coup plans that had been brought to Liepaja by Baltic German ambassador in Stocholm, H. von Stryk. The Landeswehr was more successful on April 16, when the Baltic German units disarmed Latvian troops in Liepaja, seized the control over administrative bodies and arrested the members of Ulmanis' government. Ulmanis managed to escape with steamboat "Saratov", which was under the protection of Entente. All this happened with the silent approval of general Goltz. 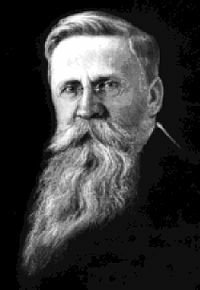 Few days later a puppet-government was formed, lead by Latvian writer Andrievs Niedra (see image). Latvian national council condemned the coup on May 12, and demanded Ulmanis' reinstatement.